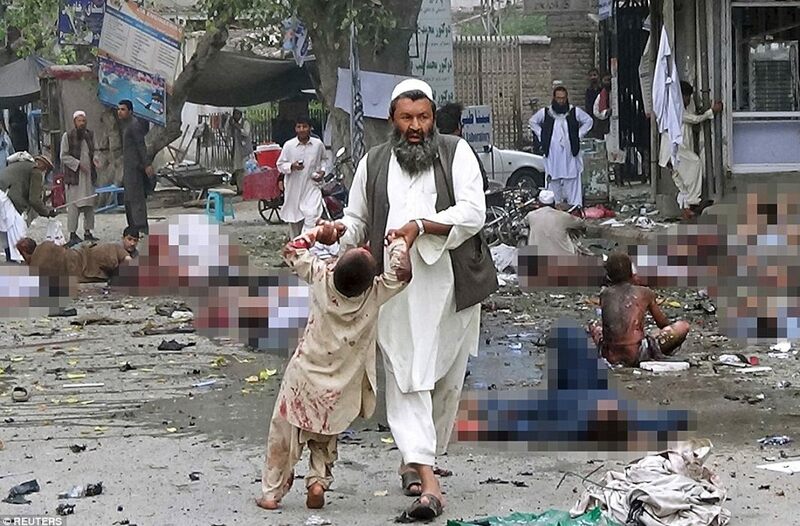 Amidst ongoing eight day ceasefire announced by Afghan government and responded by Taliban’s three day ceasefire, Daesh (IS) has claimed responsibility for a suicide bombing that killed at least 36 people and wounded 65 others in the eastern Afghan province of Nangarhar on Saturday targeting “a gathering of Afghan forces”. Aljazeera quoted Attaullah Khogyani, the provincial governor’s spokesman saying that the attack happened in Rodat district, some 25km from Jalalabad. The civilians, security forces and Taliban members were among the casualties as people celebrated the second day of Eid al-Fitr. Afghan’s celebrated Eid al-Fitr on Friday, a day before the festival was celebrated in the Indian subcontinent. Al Jazeera’s Kabul correspondent Jennifer Glasse described the bombing as a “very devastating blow” for the “unprecedented gathering of the Taliban and Afghan security forces in Jalalabad”. The IS attack came while Afghan President Ashraf Ghani, on Saturday, announced the government’s extension of a ceasefire with the Taliban, without giving a timeframe. There were positive signs of dialogue and longer ceasefire from both the sides. President Ghani urged Taliban to also extend the truce, which is due to expire on Sunday. As gesture of goodwill on the eve of Eid-al-Fitr, President Ghani said that the attorney general’s office had released 46 Taliban prisoners. For the first time since 2001, the Taliban had announced a ceasefire for the first three days of Eid, which started on Friday, promising not to attack Afghan security forces. However, they said that war will continue against foreign forces in the country. Similarly, President Ghani had announced ceasefire against Taliban and vowed to continue operations against other fighters, including the IS. Several Governors including from the provinces of Helmand, Kandahar and Zabul have confirmed that both sides had adhered to the ceasefire. Mike Pompeo, the US secretary of state, welcomed Ghani’s remarks. “We support President Ghani’s offer to extend the ceasefire and begin peace talks,” Pompeo said in a statement.